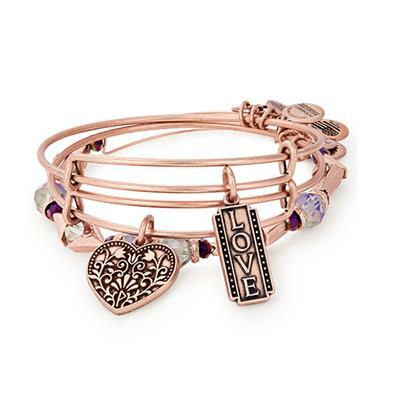 This Alex and Ani set of 3 rose gold bangles is the perfect gift for a loved one. It features a heart charm, a charm with the word 'Love', and a colourful beaded bangle. Pair this bangle set with others from Alex and Ani for the ultimate stack!